CPP continues to provide Exclusion Fencing for Ecological organisations and recently supplied an order of Fencing for a trial project that is being carried out in France. 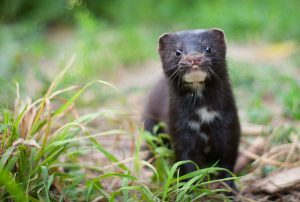 The European Mink is one of Europe’s most endangered mammals and CPP has been working with one of its Ecological Partners by providing fencing for a conservation project currently underway in France. Ian Bellingham, Commercial Manager for CPP, said that although CPP continues to provide Material Handling Solutions to the Automotive, Aerospace and Pharmaceutical sectors he was delighted that the Company was able to diversify and contribute to the conservation of endangered species here in the UK and Overseas.